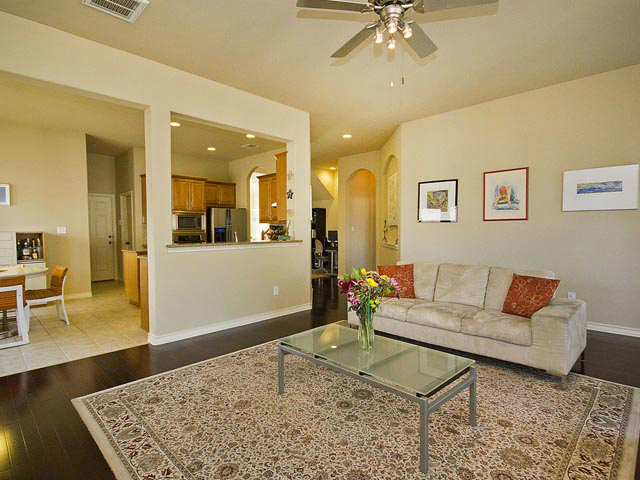 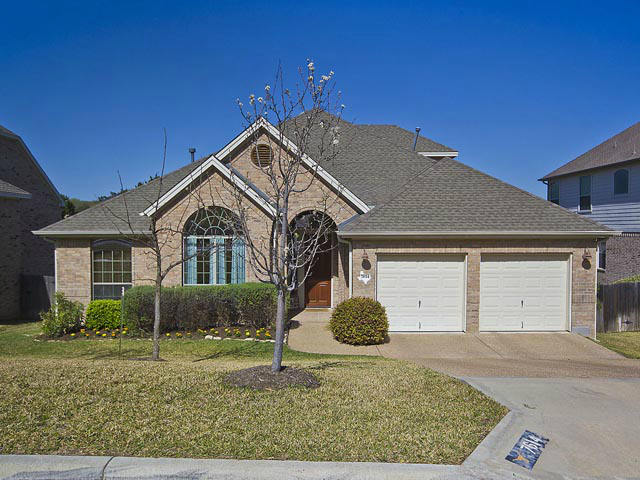 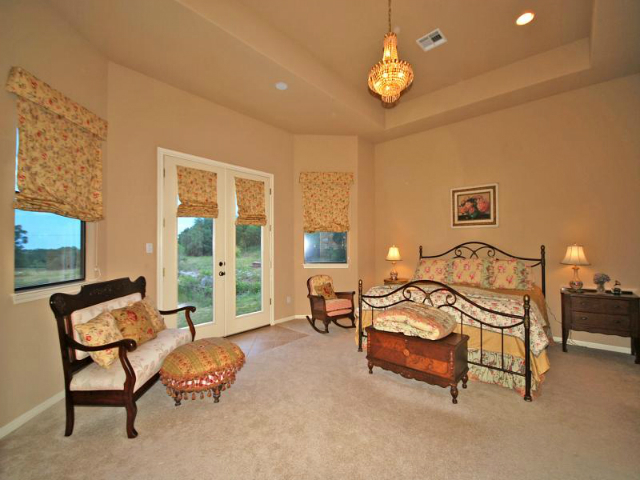 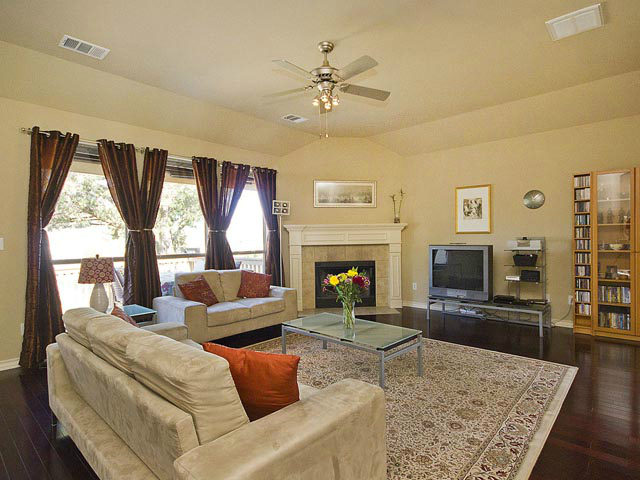 9005 Gallant Fox is located in southwest Austin sitting high up on a hill and has downtown views! 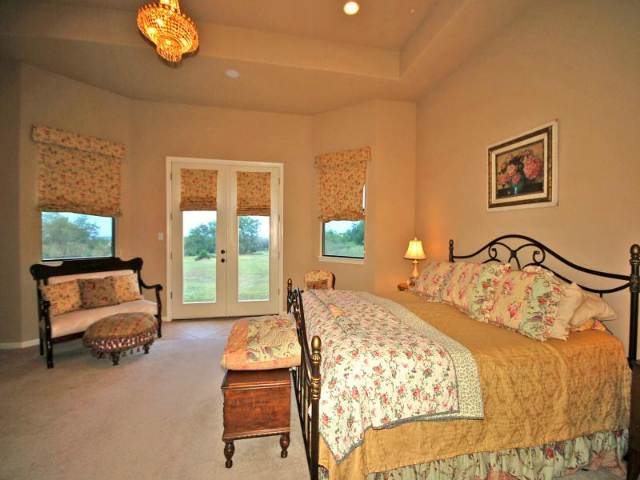 A single story white stone home with 3540 square feet on 2 acres of land with a 3 car garage. 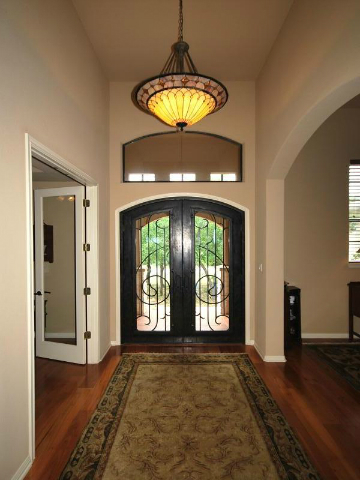 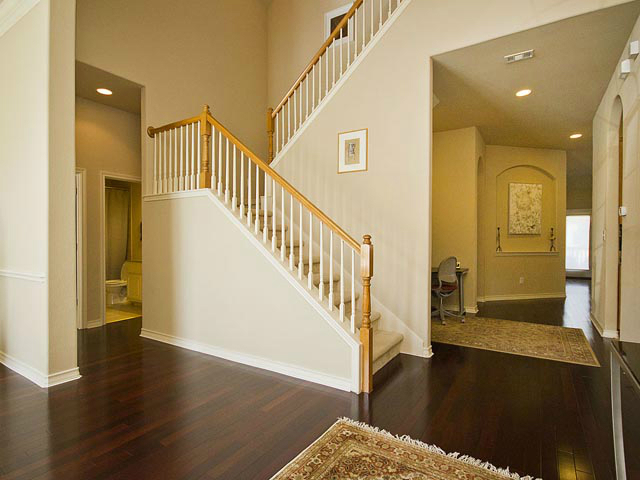 Enter the home through custom iron Durango doors with ceilings 14′ tall, Brazilian cherry hardwood floors in main areas of the home give this home a warm and inviting quality. 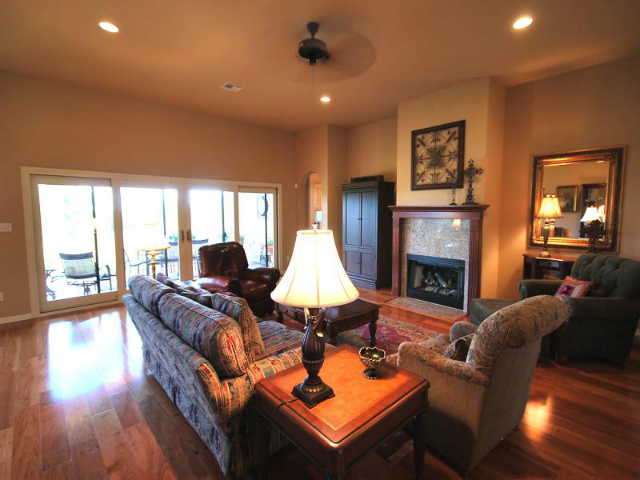 The formal dining area also has 14′ ceilings giving it a grand look while the casual dining has great views. 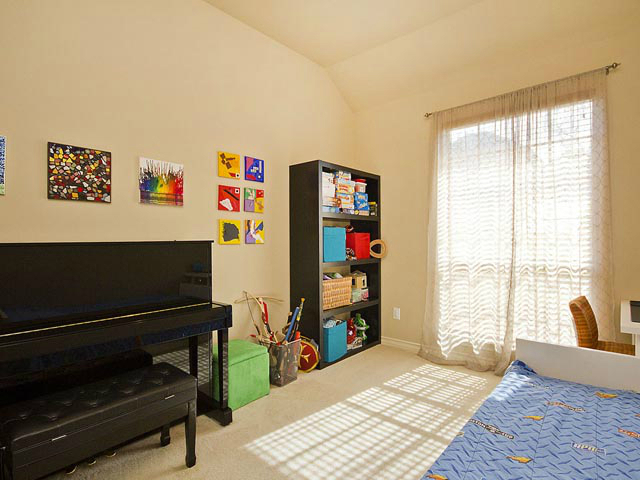 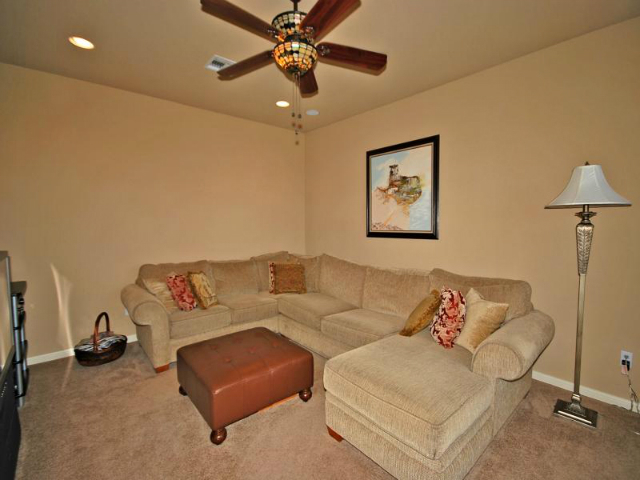 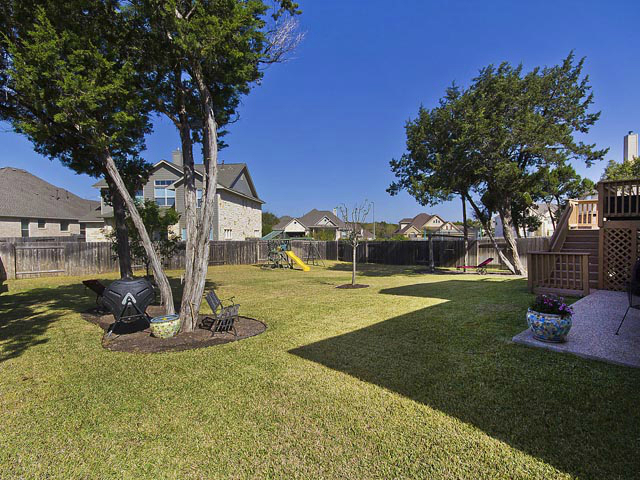 The family room is in the center of the home with a fireplace, the game room is a great place to watch movies or set up a play area, the office does have a closet and enough room to be converted into a 4th bedroom. 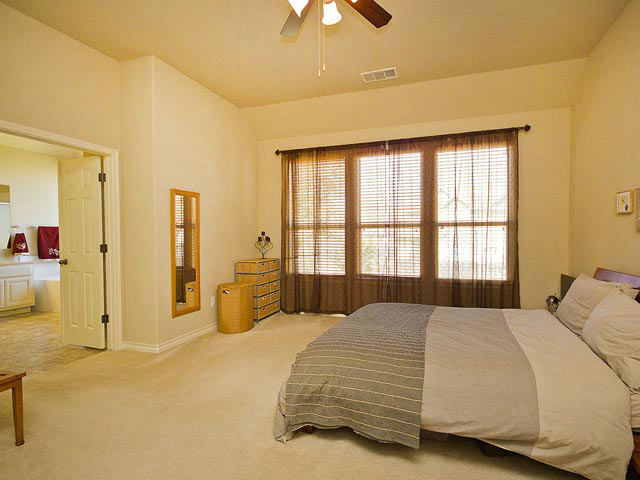 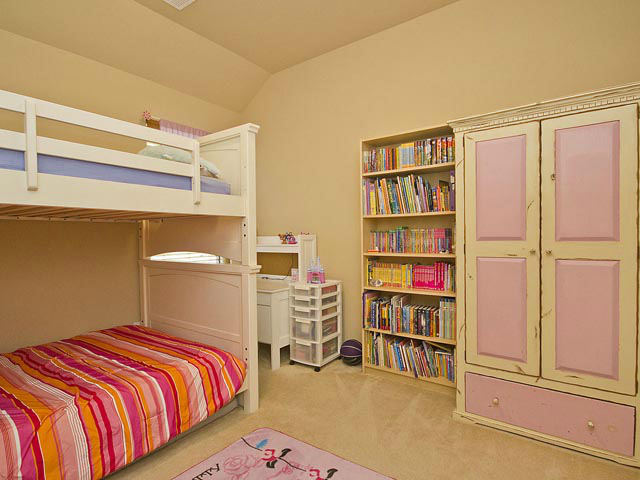 The secondary bedrooms are roomy with walk-in closets and has a full bath between them. 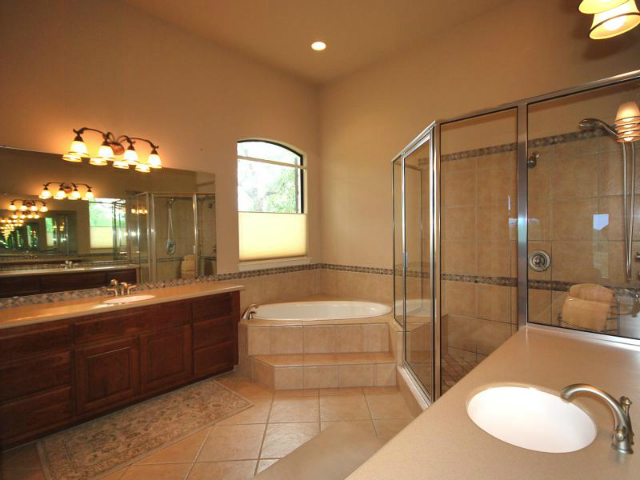 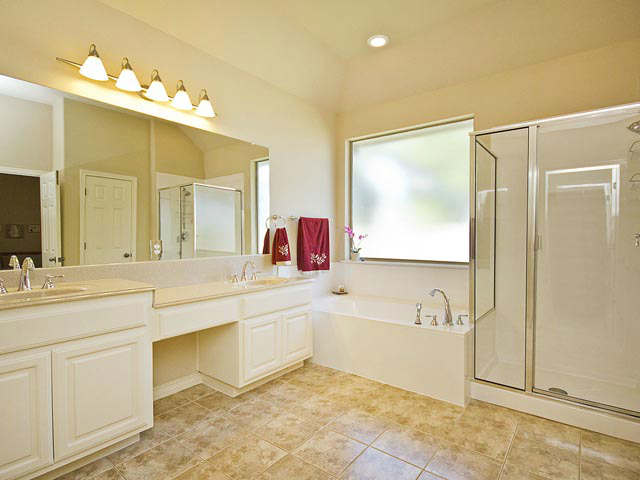 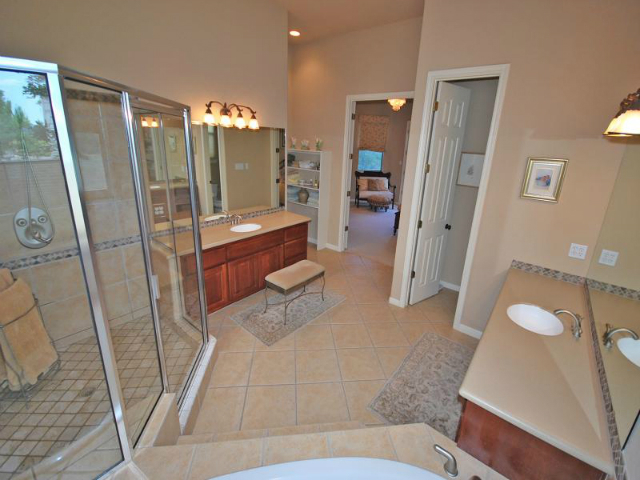 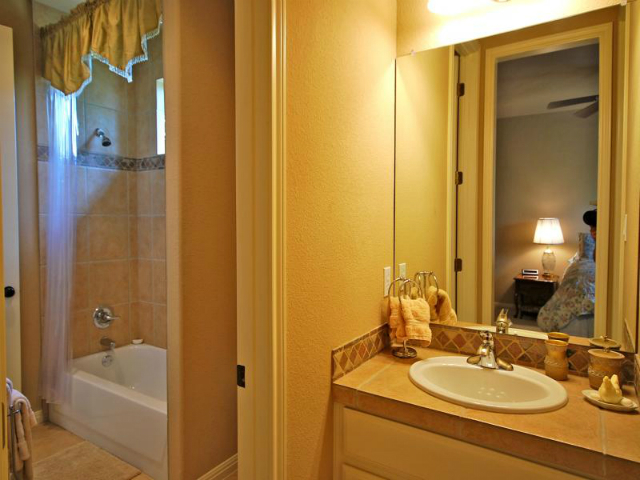 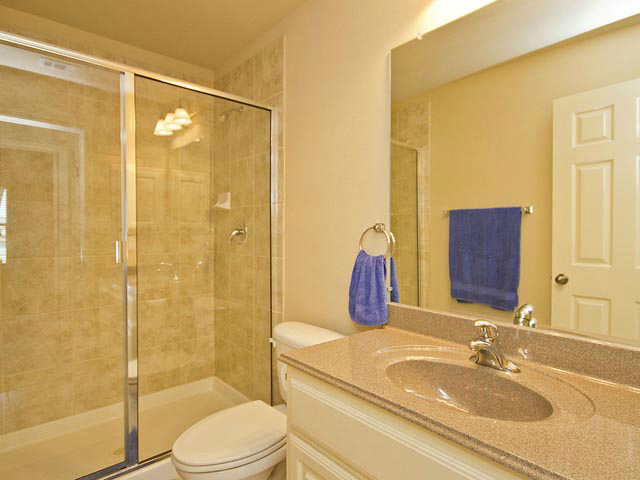 The master bathroom is large with separate sink areas and a large tiled walk in shower. 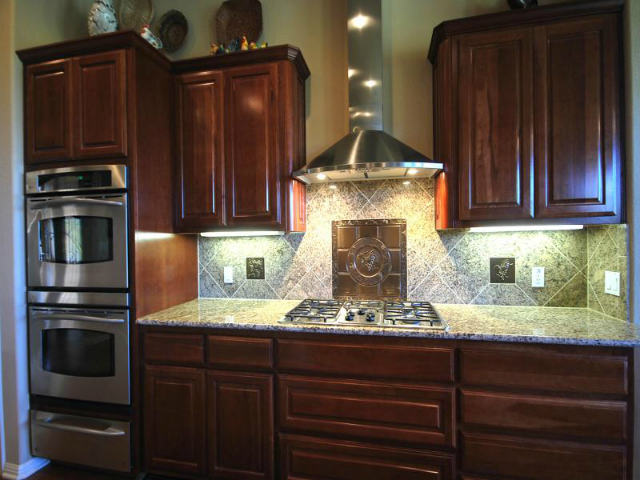 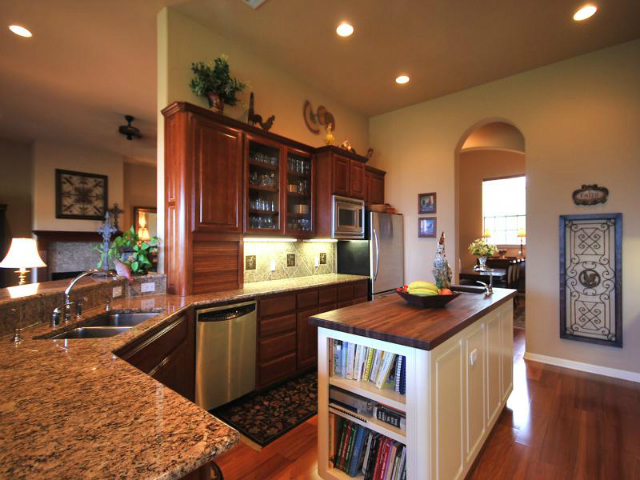 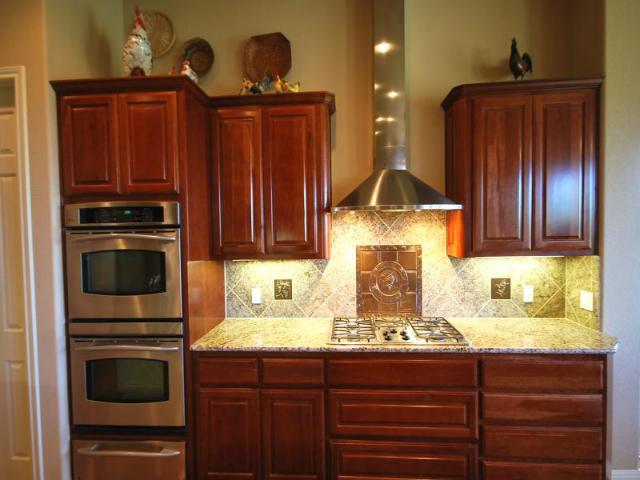 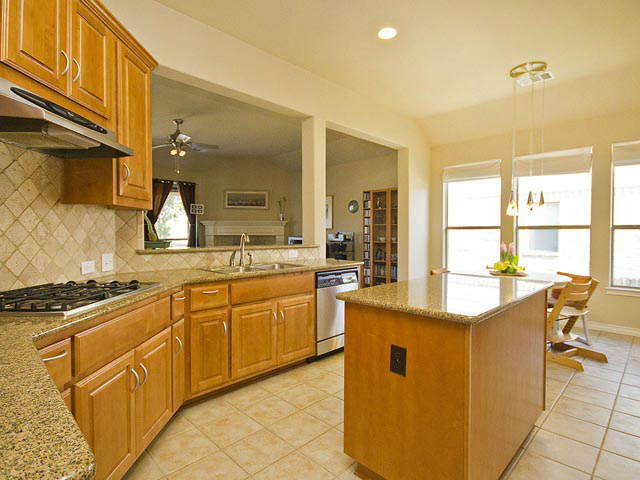 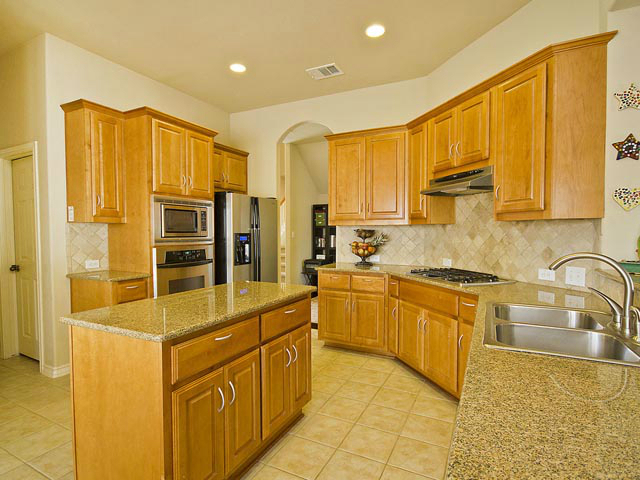 The kitchen has granite counters, cherry cabinets, stainless appliances, double convection ovens, warming drawer and a center island with a mesquite counter and vegetable sink. 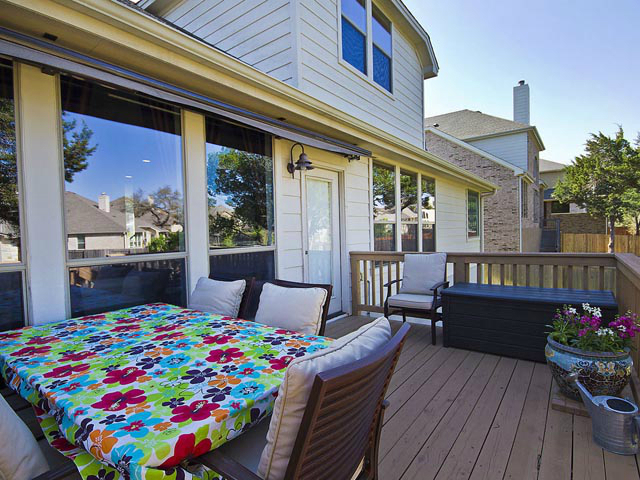 The main areas of the home and patio has a wired speaker system. 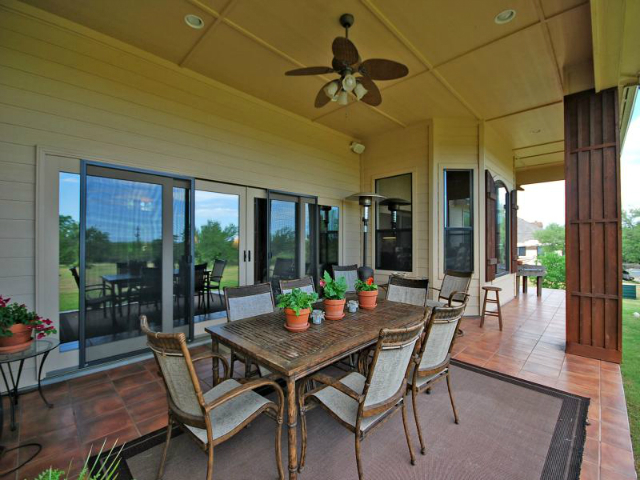 The covered patio has tiled flooring and a built in barbecue pit. 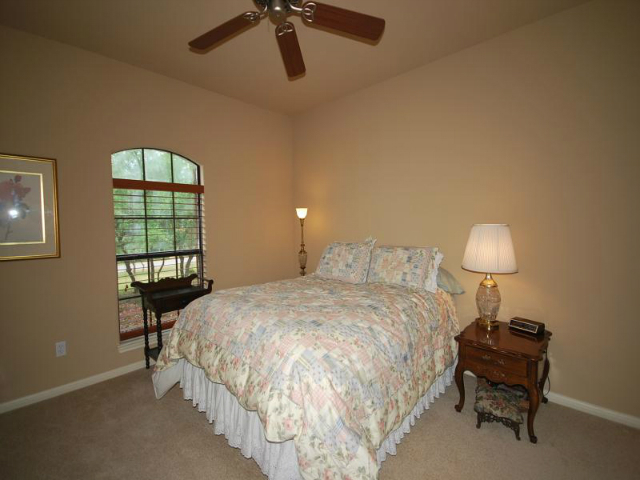 Gallant Fox is off of 1826 near Slaughter Lane, just minutes from Gorzycki Middle School and Seton Southwest. 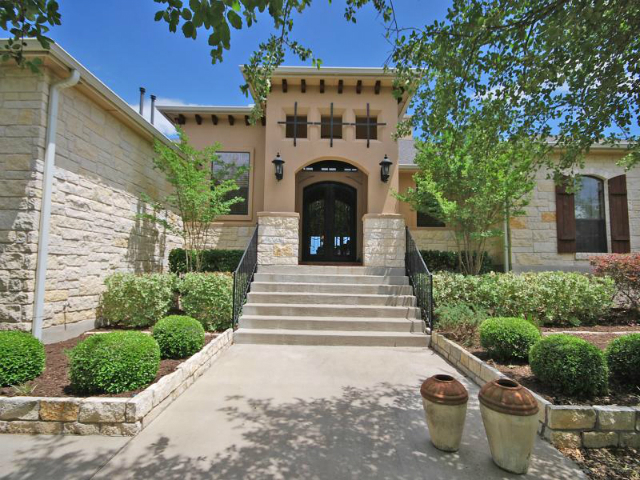 Just a short drive to The Salt Lick and Trattoria Lisina and Escarpment Village. 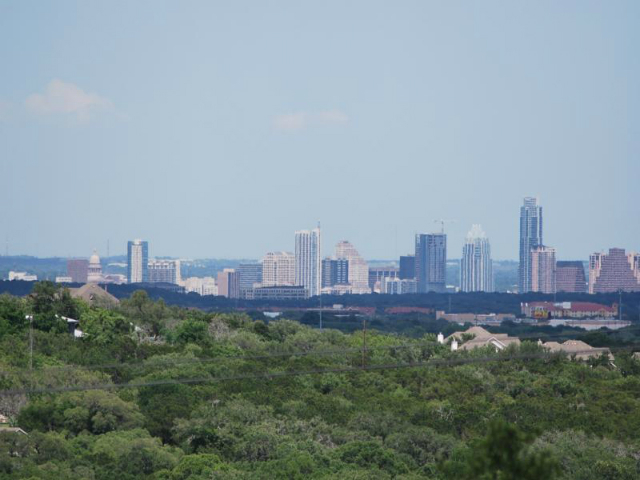 A 20 minute drive will take you to central Austin, Lakeway or Dripping Springs.